Genetic mutations play a role in all cancers. Inherited mutations play a major role in 5 to 10 percent of cancers. Genetic testing can help you know if you carry one of these inherited mutations. Next-generation sequencing (NGS) enables researchers and drug developers to better understand the biology that drives cancer predisposition and proliferation. These insights have led to the development of targeted therapeutics and multi-analyte tumor analysis. This, in turn, has opened the door for novel methods to monitor cancer treatment and recurrence. Generation Diagnostics brings innovation to oncology drug development by offering comprehensive genomic solutions and working in collaboration with leading pharmaceutical providers. Certain types of cancer may appear to run in your family. 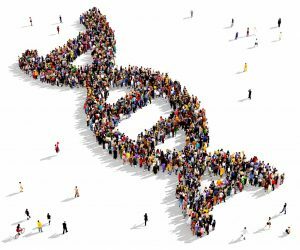 Genetic testing can determine if you have an inherited mutation that increases your risk of cancer. Interested in taking our pre-screening questionnaire? Click the link below.